Democratic House members hear testimonies on the government shutdown. Tuesday, January 15, 2019. In Montana, the Washington Post reports 800 Indian Health Service workers are either furloughed or working without pay. On Friday Montana Representative Greg Gianforte supported a House bill to specifically fund IHS during the shutdown, but that bill remains in committee. The Blackfeet Tribal Business Council released a statement Tuesday saying they have taken necessary measures to cut back spending and that a food distribution program was able to secure some food donations for furloughed federal employees and IHS employees working without pay. According to the statement, the Bureau of Indian Affairs on the Blackfeet Reservation is down to one snow plow, one operator and one on-call operator to cover all of the BIA routes on the Reservation. Last year a state of emergency was declared following severe winter storms on the Blackfeet Reservation. There is concern that if similar storms take place during the shutdown, the impact would be intensified by the limited funding for snow removal and road maintenance services. Today, NPR’s Morning Edition aired a story about discrimination Native Americans face when trying to get healthcare in America. It included an interview with Anna Whiting Sorrell, a member of the Confederated Salish and Kootenai Tribes. We’re going to follow up now by looking at some of the persistent myths about American Indians that get in the way of them getting healthcare. Weahkee could not explain how much money IHS is billing Medicaid to help keep the agency running. Montana's U.S. Senators say they're disappointed that President Trump's nominee to lead the Indian Health Service has been withdrawn, and they say the agency is in dire need of qualified leadership. The agency has been without a permanent director since 2015. The Senate Indian Affairs Committee may hear startling statistics like this one during its hearing: Native Americans make up about 7 percent of Montana’s population. 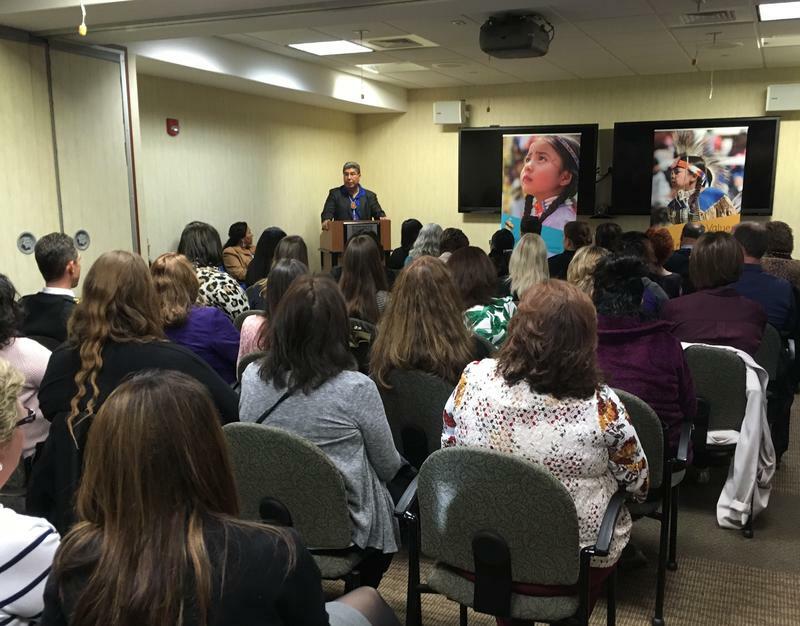 But according to Montana’s Native American Domestic Violence Review Commission, Native people are involved in 16 percent of all of the state’s intimate partner homicides.